The landscape in the valley of the Gartempe is still dotted with a few remaining plots of vines but their cultivation on our hillsides has suffered a great decline. The monks of the Abbey of Saint-Savin were major landowners and possessed vines and many other agricultural resources, etc. in Nalliers, Saint-Germain and Antigny, since these border parishes belonged to the Abbey. Moreover, the story of the Carolingian foundation of the Abbey refers to the “excellent natural surroundings” of the estate on which Badilon built the first church which was gifted with the relics of Savin: it contained forests, fruit trees, meadows, vines, water, mills, etc. 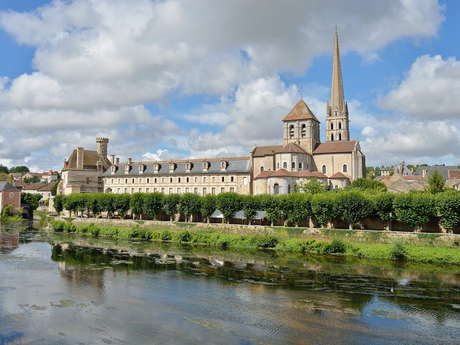 The “Vigne aux Moines” no doubt supplied the Abbey with wine: communion wine and wine for the monks’ daily consumption. We now know that the low-quality wine produced in the Middle Ages had to be consumed within the year; as it was in short supply, a brisk trade was widely plied by large numbers of middlemen: it was in the monks’ interest to produce wine for their own consumption. 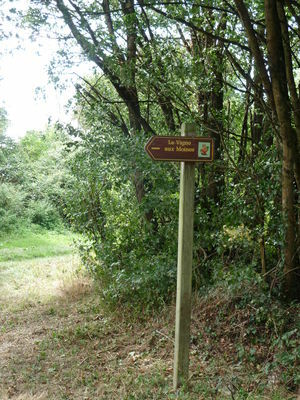 This circuit is one of 20 circuits known collectively as "La Vigne aux Moines", located in the Saint-Savin, Saint-Germain, Nalliers and Antigny area. There is no review about The Monks’ Vine / Circuit 1, be the first to leave one !